Maili Cove is a thee story building on 2.8 acres of land in West Oahu. 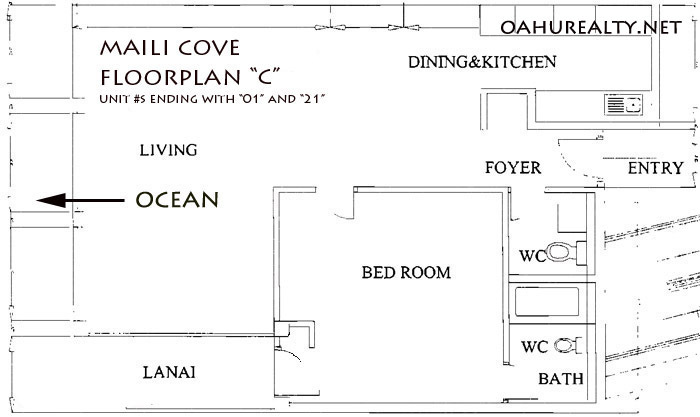 Maili Cove has 61 condos (all one-bedroom residences). Units range from 632 to 938 square feet of interior area. Each unit has its own lanai. Ground floor residents can walk right out onto the lawn and to the swimming pool. Barbecues are located near the swimming pool. Take a short walk to the beach and enjoy the ocean. 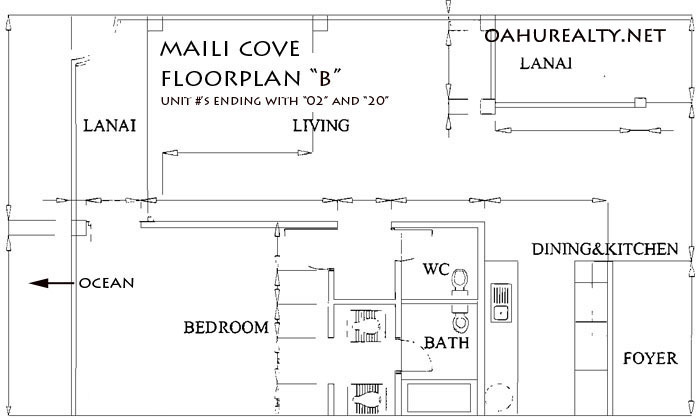 Maili Cove's amenities include a community laundry area, resident manager and security guards. Pets are allowed - cats and dogs. Each unit has an assigned parking stall. Guest parking is plentiful, 10 stalls for your friends to visit on weekends. Overnight guest parking is allowed with a $5 daily fee paid in advance. Monthly maintenance fees are approximately $593 to $800 (depending on the interior size) in 2018. Water, sewer and basic cable TV are covered in the fee. Maili Cove is located at 87-561 Farrington Highway in Waianae, Hawaii 96792. Most units have the "A" floorplan or its reverse - a mirror image of "A". 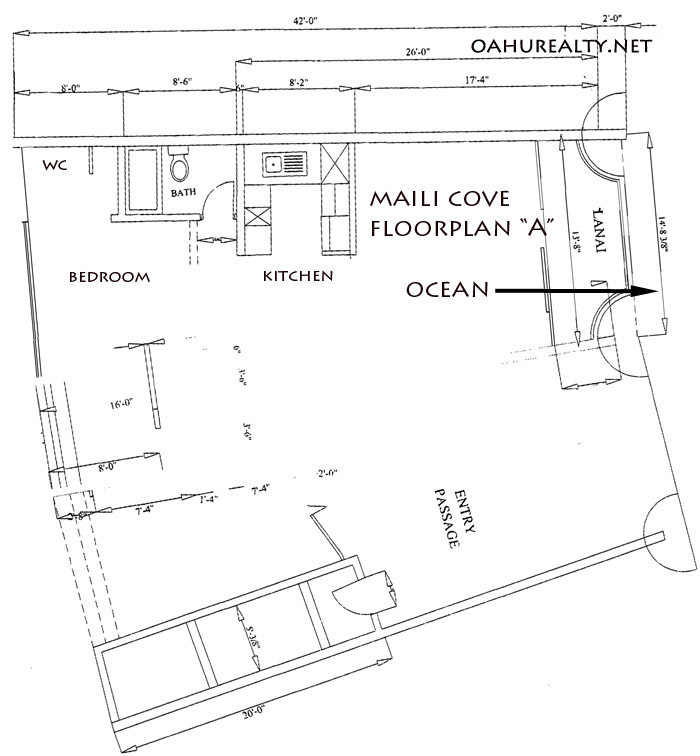 End units - 01, 02, 20 and 21 have larger, B and C floorplans.